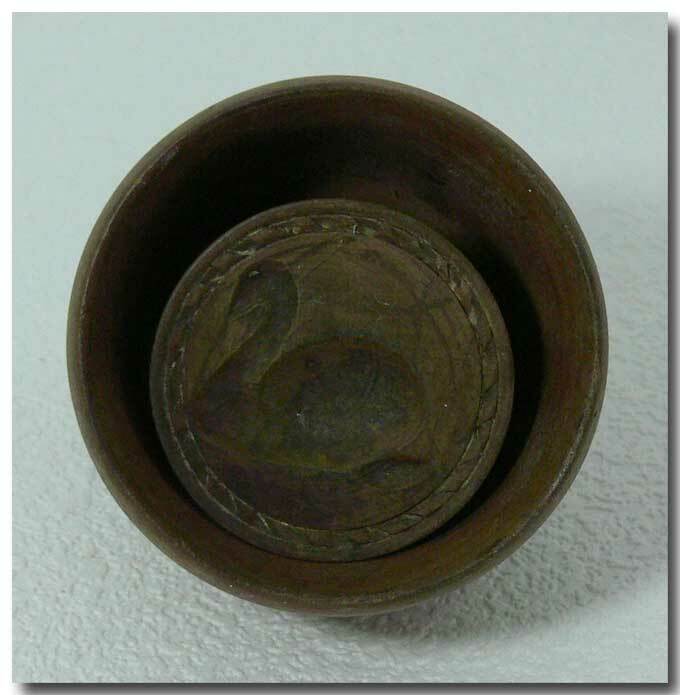 An early butter print mould in its original cup featuring a carved image of a swan. Great condition. Quite dark in tone. The mouth of the cup measures approx. 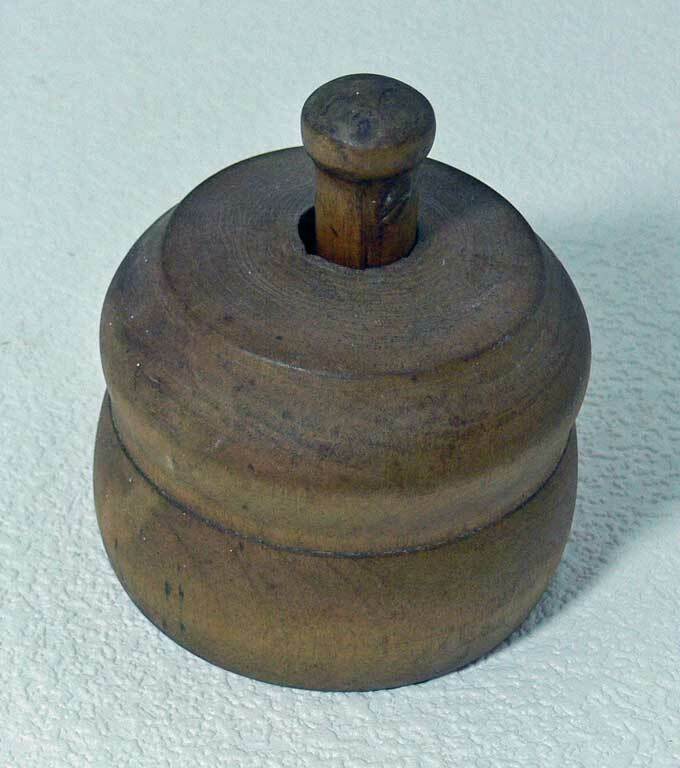 3 ½” in diameter.